The book discusses theories and physiology relevant to the manual treatment of chronic pain, especially as it regards the soft tissues of the upper body. Step-by-step protocols that address each muscle of a region and a regional approach to treatment are features that make this book unique. A structural review of each region, including ligaments and functional anatomy, adds value for new students and practitioners alike. Judith DeLany LMT has spent over two decades developing neuromuscular therapy techniques and course curricula for manual practitioners as well as for massage schools and other educational venues. Her ongoing private trainings with the Tampa Bay Rays athletic trainers (professional baseball) as well as customized trainings for noteworthy US-based spas show incorporation of NMT into diverse settings. 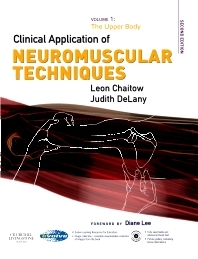 She has contributed a chapter to Chaitow’s Modern Neuromusular Techniques and Stillerman’s Modalities for Massage and Bodywork and co-authored contributions to Coughlin’s Principles and Practices of Manual Therapeutics and Micozzi’s Fundamentals of Complimentary and Alternative Medicine. As an international instructor of NMT American version™, co-author of three NMT textbooks, and associate editor for Journal of Bodywork and Movement Therapies, her professional focus aims to advance education in all healthcare professions to include myofascial therapies for acute and chronic pain syndromes. Judith DeLany resides in St. Petersburg, Florida where she is the director of and primary curriculum developer for NMT Center.